Fitbit announced that it has acquired Coin's wearable payment technology, a move that will see NFC mobile payments coming to the company's lineup of fitness trackers in the near future. Coin's first attempt at digitizing your accounts came with its all-in-one card, which can store all of your payment cards to slim down your wallet. Next came its wearable prototype, which it developed in partnership with MasterCard. Apparently, this proof of concept was enough to convince Fitbit to shed a little coin on the technology. 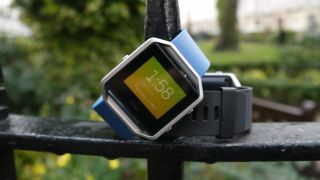 The announcement details that the Coin payment technology will not be making its way to 2016's Fitbit products, like the Fitbit Blaze and Fitbit Alta, that have already released this year, as well as unannounced products that may still be coming. But that leaves the wearables of 2017 totally open to mobile payment integration. And looking at how behind Fitbit is in this space compared to the likes of Apple Pay, Samsung Pay, Android Pay and more, you can bet that it will try its best to hit the ground running. Just try to come up with something a little more imaginative than Fitbit Pay, yeah?